Broward County Supervisor of Elections Dr. Brenda C. Snipes waits to speak to the media about a plan to mail replacement ballots to voters on Oct. 28, 2004, in Fort Lauderdale, Florida. Rick Scott's campaign names Broward County Supervisor of Elections Brenda Snipes in a lawsuit filed Thursday. TALLAHASSEE, Fla. – Gov. Rick Scott’s campaign has filed lawsuits against election officials in Broward and Palm Beach counties, accusing them of not being able to provide accurate totals of how many ballots remain left to be counted. In the lawsuits, Scott’s campaign names Broward County Supervisor of Elections Brenda Snipes and Palm Beach County Supervisor of Elections Susan Bucher in their respective county roles. Snipes and Bucher are Democrats. Scott is a Republican. The Broward suit complains of a "lack of transparency" about how many people voted, how many ballots were received and how ballots were counted. Scott ordered the Florida Department of Law Enforcement to investigate. Florida’s 67 counties are required to report their unofficial returns to state elections officials on Saturday. Florida Secretary of State Ken Detzner held a conference call with county elections supervisors Thursday morning to discuss a possible recount and plan ahead for one. The earliest Detzner could issue a recount is Saturday. 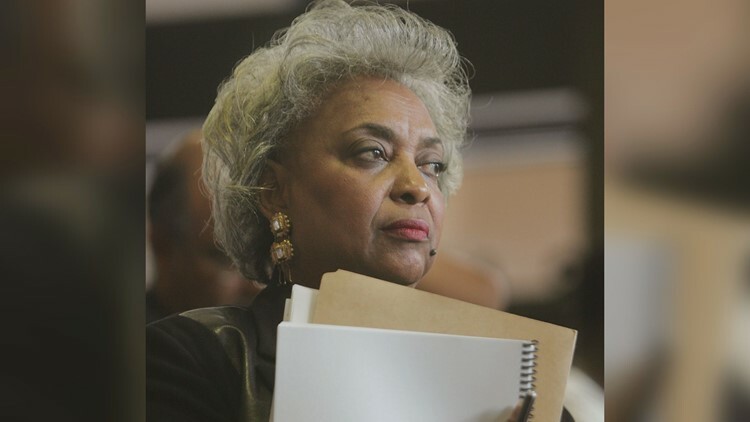 Friday afternoon, a judge ruled Snipes violated state law and must hand over records from Tuesday's vote by 7 p.m. CBS Miami reports the judge said Snipes must “allow immediate” viewing and copying of records that have been requested. Republican Gov. Jeb Bush asked Snipes to serve as Supervisor of Elections in Broward County – Florida's second-most populous county – nearly 15 years ago. Broward County has about 1.15 million voters, second only to Miami-Dade’s at about 1.4 million. Snipes was formally appointed on Nov. 20, 2003, to replace former County Supervisor Miriam Oliphant, who was escorted out of her office and removed from her job. CBS Miami reported while Oliphant was in office, uncounted votes were found in a cabinet drawer, and the department went a million dollars over budget. Snipes was reelected in 2004, 2008, 2012 and 2016. She has lived in Broward County since 1964. Click or tap here to read Snipes' biography on the Broward County Supervisor of Elections website. CBS Miami reported the Broward County Supervisor of Elections Office inadvertently posted election results 30 minutes before the polls closed at 7 p.m. It prompted Secretary of State Ken Detzner to send memos to the Broward County State Attorney and sheriff asking for an investigation. A private contractor that runs the website, VR Systems, said one of their workers accidentally put up the results while creating a link for a Broward County elections worker. The Sun Sentinel reported a federal judge cleared Snipes in a lawsuit that accused her office of facilitating voter fraud. In May 2018, the Sun Sentinel reported a judge ruled the Broward County Supervisor of Elections Office violated state and federal laws by destroying ballots from a 2016 Congressional race too soon. The ballots' destruction happened while they were the subject of a lawsuit against the office. The ruling stems from Tim Canova’s bid to unseat Rep. Debbie Wasserman Schultz in the Democratic primary. Schultz defeated Canova in the race. In September, Snipes approved the destruction of the ballots, signing a certification that said no court cases involving the ballots were pending. Snipes said the action was a “mistake” during testimony she gave in the case. She said the boxes were mislabeled and there was “nothing on my part that was intentional” about destroying the contested ballots. Politico reported a judge ordered for Snipes to stop opening mail-in ballots in secret or before the county's three-member canvassing board to determine the ballots' validity. “We appreciate the court’s order clarifying what Florida law plainly requires — that Supervisor Snipes and her staff must safely keep and may not open any vote-by-mail ballot until the Broward County Canvassing Board canvasses the vote,” a spokeswoman for the Republican Party of Florida told Politico. CBS Miami reported the Broward County Supervisor of Elections Office had late delivery on about 5,000 vote-by-mail ballots for the 2018 primary election.